Everyone black, black-adjacent or alive who has seen Black Panther knows that it is beyond. And praise is pouring in from all quarters, even from Marvel Studios President Kevin Feige, who told ABC News on Saturday that Black Panther is the best film Marvel Studios has ever made. And he would know. According to ComicBook.com, Feige has overseen every film in the Marvel Cinematic Universe, including the blockbusting Avengers, currently Marvel’s top-grossing film. “The movie finished, and I looked over at [director] Ryan [Coogler], I said, ‘That’s the best movie we’ve ever made,’” Feige said. Feige also said that he wanted to keep Black Panther true to its original vision of pure black greatness. “What Stan Lee and Jack Kirby did 50 years ago was pretty bold in the mid-’60s, to say, ‘Here is a character from Africa from this African nation who’s smarter than you, who’s richer than you, who’s more technologically advanced than you,’ and we wanted to stay true to that,” Feige said. But “great” is subjective, right? In America, “great” typically means dat capital. And Black Panther over-delivers on that as well. Deadline reports that as of Sunday morning, industry estimates indicate that Panther will hit $195,000 over three days, and between $218,000 and well north of $230,000 for a four-day take, making it the fifth-highest opening of all time on the three-day chart after Avengers ($207.4 million), and maybe besting it on the four-day take. Over at AMC, Black Panther is now the top-grossing film in the company’s history, according to the Hollywood Reporter. 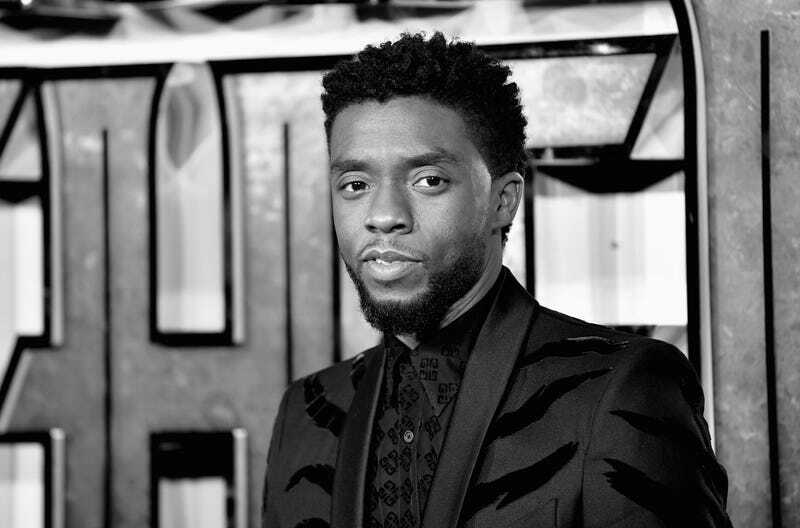 “Black Panther has taken on a life of its own,” Elizabeth Frank, AMC executive vice president of global programming and chief content officer, said. And although the box-office receipts are through the roof, Feige was clear that revenue wasn’t what makes Black Panther the best. In short, people lie, numbers don’t. Black Panther is now one of the top openings of all time in North America and pulled in a nice $169 million globally. It’s also the biggest opening for an African-American director, the top-scoring superhero film on Rotten Tomatoes (97 percent) and the biggest February opening, beating out Deadpool, which took in $152.2 million over the four-day Presidents Day weekend in 2016.